I have some new long overflow pipes for the H6 carbs. The original ones were missing. From the float bowl I believe they take two 90 degree bends and then go through a clip on one side of the oil filter housing and then either end there or possibly keep going? 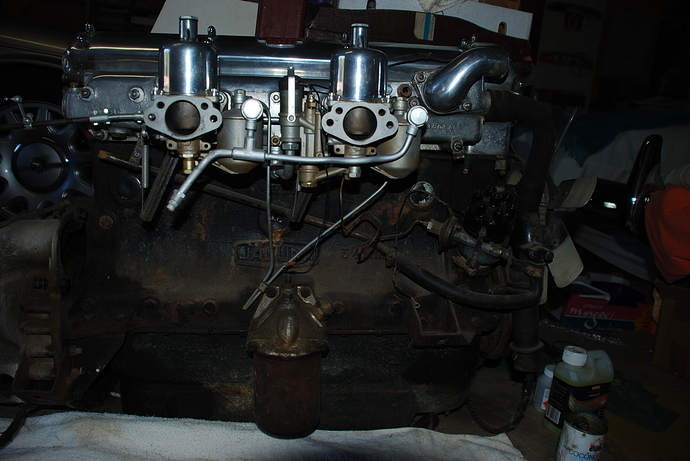 I have attached a pic of the side of my engine. Does anyone have a pic in their archives that might show how they are routed? 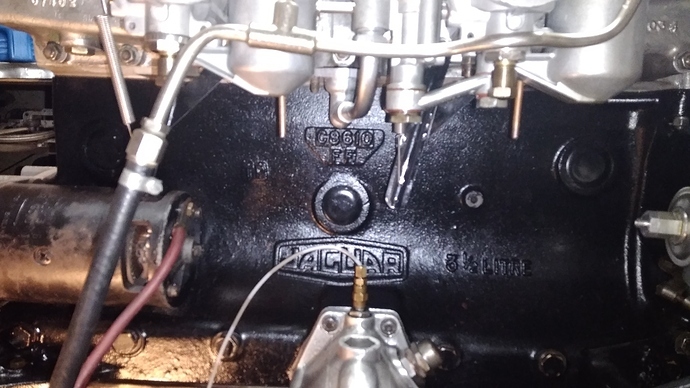 Wes, see photo below of Sept 1955 XK140MC engine with carb overflow pipe original routing, noting elongated clip that accepts both pipes, mounting on top-rear oil cleaner setscrew. Thanks a million. That is exactly what I need. I’ll bent them up and install them tomorrow.